TEL AVIV, January 21. /TASS/. The Israeli military said on Monday that strikes were being carried out on Iranian targets in Syria. "We have started striking Iranian Quds targets in Syrian territory. We warn the Syrian Armed Forces against attempting to harm Israeli forces or territory," the Israeli Defense Forces said in a statement. 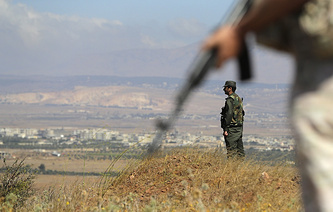 The Syrian Arab News Agency (SANA) reported earlier on Monday that the country’s air defenses had shot down several enemy targets. 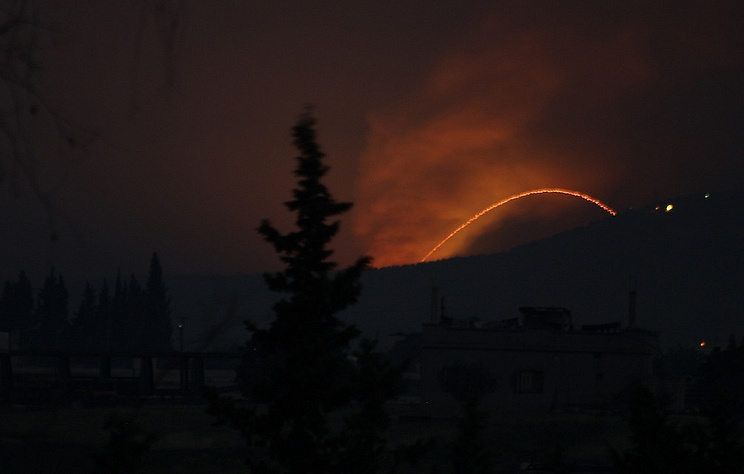 A SANA correspondent reported that the sound of explosions had been heard in the sky over Damascus. The Israeli Defense Forces said earlier that "a rocket was fired at the northern Golan Heights and was intercepted by the Iron Dome Aerial Defense System." On January 13, Israeli Prime Minister Benjamin Netanyahu said that the country was ready to enhance attacks on Iranian targets in Syria to stop Iran from strengthening its position there. He also acknowleged that Israel had attacked a weapons depot in the Damascus International Airport overnight into January 12.